Every woman has two ovaries, the ovaries are about the same size and the same shape as an almond and they are located on the side of the uterus. Eggs will develop and mature inside of the ovaries and are then released in a monthly cycle when a woman is of child bearing years. At times, a pocket or fluid filled sack will appear on the surface of the ovary or inside of it. This is called an ovarian cyst. Ovarian cysts are actually quite common and many women will experience them from time to time. Most of the time an ovarian cyst will not cause any discomfort and are quite harmless. Most will disappear without any type of treatment within just a few months. However, there are some cysts on the ovaries, especially ones that rupture, that can cause some serious side effects and symptoms. It is important to know the symptoms of ovarian cysts that may signal a problem that is potentially serious. Here are 12 warning signs of ovarian cysts that should not be overlooked. One of the warning signs that you may have ovarian symptoms has to do with the abdomen. If you have ovarian cysts you may experience several types of abdominal issues. 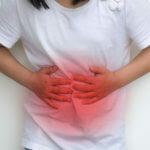 One of these symptoms is swelling, bloating, or a general heavy feeling in the abdominal area. People who suffer from ovarian symptoms may always feel like their stomach is full or heavy. In addition to this, you may feel some discomfort or pain in the stomach and in the pelvis area. This is one of the most common symptoms of ovarian cysts, but it is also a common symptom of several health issues as well. 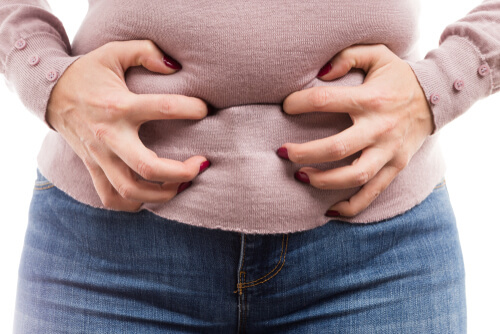 If you notice that you are feeling bloated or your stomach simply feels heavy all of the time, it could be a sign that something is wrong. It is a good idea to have this checked out as it could be a sign that you have ovarian cysts, which may need to be treated.